While creating art in Onishi I plan to use photography and illustration. I am passionate about the connection between imagery and storytelling and plan to create art work around collected stories and ideas during my time in Onishi. 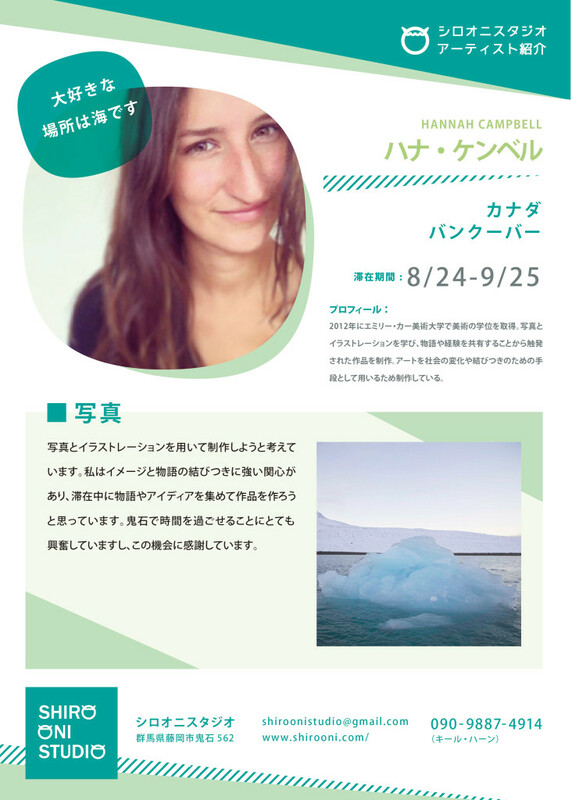 I am excited to spend time in Onishi and very grateful for this opportunity.